“This is a tutorial on how to make a basic wall-avoiding robot. This project will require a few components and a bit of dedication and time. 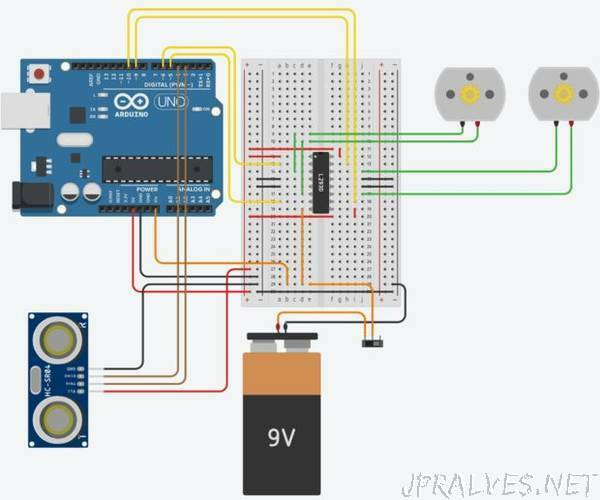 It would help if you have a small amount of knowledge on electronics but if you are a complete beginner, now is the time to learn! This is just how i learnt electronics; by making other peoples projects even though i had no idea how they were working at all. Gradually though i learnt small pieces that built up into actual knowledge i can apply to my own projects.